It's easy to see why this attractive Camp Chair is one of our best selling chairs. Not only is it sturdier and wider than most transportable chairs, making it more comfortable, but it also has padded, curved armrests, a powder coated frame, and a cup holder/pocket, giving the chair all the features you would hope for. It&apos;s easy to see why this attractive Camp Chair is one of our best selling chairs. Not only is it sturdier and wider than most transportable chairs, making it more comfortable, but it also has padded, curved armrests, a powder coated frame, and a cup holder/pocket, giving the chair all the features you would hope for. The Camp Chair folds flat for transporting and storage and &apos;pops&apos; open when you&apos;re ready to sit back and relax. The back frame is detachable so the packing and storage size is decreased! The center is mesh which is great for hot, humid days when air flow is a must. 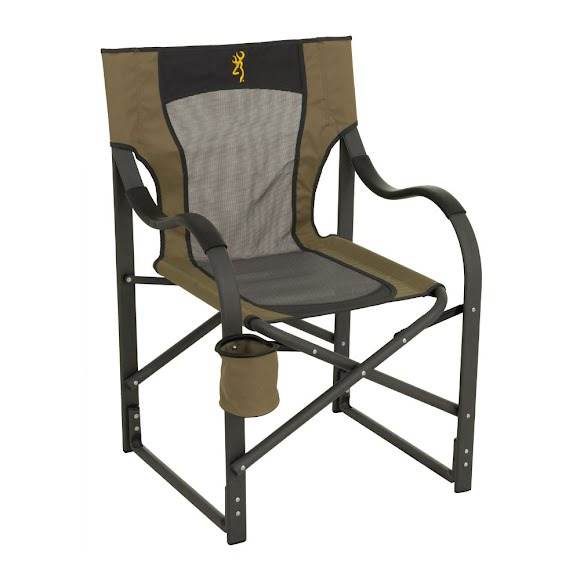 The Camp Chair is great for camping, sporting events, barbeques, and just sitting on your deck.